The Director of Business Operations and Ancillary Services will be a senior member of the campus leadership team, with specific oversight of the managers of Event and Space Management, and Food and Culinary Services. In addition, the Director will be responsible for Development of Business and Entrepreneurial Opportunities and Retail Programs. The consolidation of these departments and responsibilities underscores the critical business and entrepreneurial functions that they represent and the profound developmental impact that they have on the lives of students, staff, faculty and guests. The Director, a key member of the Office of the Bursar, will participate as a team leader in an open, cooperative, and collaborative style to develop innovative business strategies to support the continued growth of the portfolio. The incumbent will promote an environment of continual improvement of existing services and the development of new initiatives, including the introduction of new products, is the key liaison with respect to all retail-related activities. Develops business plans, marketing and promotional activities, meeting client needs, resolving client problems, and minimizing disruptions to various campus activities. The Director manages all University staff within the portfolio, ensuring that business objectives are met. The ideal candidate for the Director of Business Operations and Ancillary Services will have a blend of financial and organizational acumen, coupled with a developmental commitment consistent with the University’s overall vision of academic excellence. The extensive portfolio scope requires significant leadership and management experience, demonstrated fiscal accountability in an institutional setting, risk management assessment, and the utmost integrity. The Director will bring proven business capabilities and a commitment to enriching all aspects of the student and community experience. Important facets of the positions will include: history of successes within an institutional environment, working with complex strategic plans, budgets and multiple stakeholders; creating dynamic solutions to the evolving requirements of a diverse campus community; strong commitment to enhancing the student experience through innovative services and new technologies. University degree, preferably in business or hospitality or acceptable equivalent combination of education and experience. Knowledge of Province of Ontario food service regulations, contract food service management companies method of operations, catering/hospitality standards, health & safety regulations. Also required to understand/have experience with meal plan and other systems-how they work, key success factors, how to implement. Familiarity with conference residence, bookstore and other campus operations. 8-10 years of progressively responsible management experience in the food services industry, including, conference services, food services management, contract management, and other ancillary operations, preferably with multi-unit experience. Candidates must possess a proven track record of implementing significant change and introducing new programs, work processes and services successfully. Demonstrated skills and experience in fostering diversity in the workplace while creating a positive work environment supportive of professional development. Experience managing in a unionized environment. Strong team management and leadership experience with the ability to develop and strengthen units. Superior knowledge of ancillary services operations in a higher education environment is required. Strong leadership ability, with demonstrated success in introducing organizational change and a variety of other significant changes. Ability to provide excellent client service in an entrepreneurial environment. Excellent communication and interpersonal skills, conceptual and strategic thinking skills, sound analytical and problem solving skills. Highly developed business planning skills including operations and financial planning, and budget preparation. Familiarity with labour relations practices. Strong presentation, written and verbal communication skills. Strong organizational skills. Spreadsheet and word processing skills. Successful leadership skills with the ability to inspire and influence with a high level of energy, enthusiasm, and creativity coupled with a positive and “can do” attitude. Highly motivated professional who is a self-starter, resourceful and able to work independently with minimum supervision and work with diverse groups of internal stakeholders and external customers. Ability to maneuver through political landscapes and must possess a competent level of political astuteness to accomplish business objectives. Must demonstrate a high level of confidence and comfort in making sound business decisions and as appropriate, demonstrate innovative and creative problem-solving. High level of resilience and flexibility with the ability to adjust to changes rapidly. Must be able to successfully overcome obstacles and problem solve. Must work effectively under all types of stress and pressure. Proficient organizational and time management skills with the ability to manage multiple projects. Must be detail oriented and work must be accurate. Excellent interpersonal relationships skills, ability to maintain a wide range of professional relationships. Proven track record of negotiating skills with effective positive outcomes. Excellent communication skills with the ability to communicate with discretion, diplomacy and tact. Founded in 1836 in Cobourg, Ontario, by royal charter from King William IV, Victoria federated with the University of Toronto in 1890. 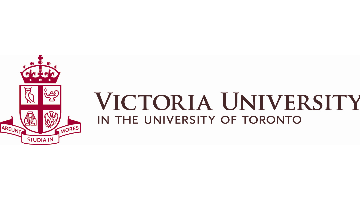 It comprises Victoria College, an arts and science college of U of T, and Emmanuel College, a theological college associated with the United Church of Canada. As one of the oldest universities in Canada, Victoria has earned a distinguished reputation for excellence and creativity, with alumni that include some of the country’s most recognized innovators, artists, athletes, activists, scientists, educators and political leaders: literary critic and scholar, Northrop Frye; Nobel laureate and prime minister, Lester B. Pearson; pioneering doctor, Augusta Stowe-Gullen; Nobel laureate and co-inventor of the laser, Arthur Schawlow; authors Margaret Atwood, John Bemrose and Elizabeth Hay; artist, Robert Bateman; poet, Dennis Lee; actor, Donald Sutherland; the Honourable Bill Blaikie; former ambassador, Kenneth Taylor; and filmmaker, Norman Jewison.